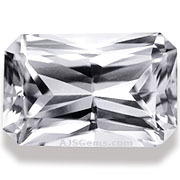 Diamond is valued for its outstanding hardness (10 on the Mohs scale) and its exceptional brilliance and fire. You will not find quite the same combination of outstanding gemstone characteristics in the colored gemstone world. But there are several white gemstones that are worth considering for jewelry, either as solitaires, center stones or accent stones. 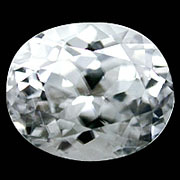 The hardest white natural gemstone next to diamond is white sapphire. Sapphire has a hardness rating of 9 and also a high refractive index. So it is quite a brilliant gem that is suitable for everyday rings. 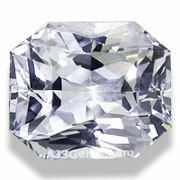 White sapphire does not have the same fire as diamond, but a well cut white sapphire can make an impressive ring. Sapphire is also popular as melee, the very small stones used as accents in many jewelry designs. Small white sapphires are usually very affordable, but large stones, especially unheated stones with very good clarity, can be quite expensive. White zircon is less well known, but in the days before diamond simulants like cubic zironia and moissanite, natural zircon was a popular substitute for diamond. Though not as hard as sapphire (about 7 to 7.5 on the Mohs scale) zircon has a very high refractive index and more fire than sapphire. It is also quite affordable, even in larger sizes. But it can be fairly difficult to find. 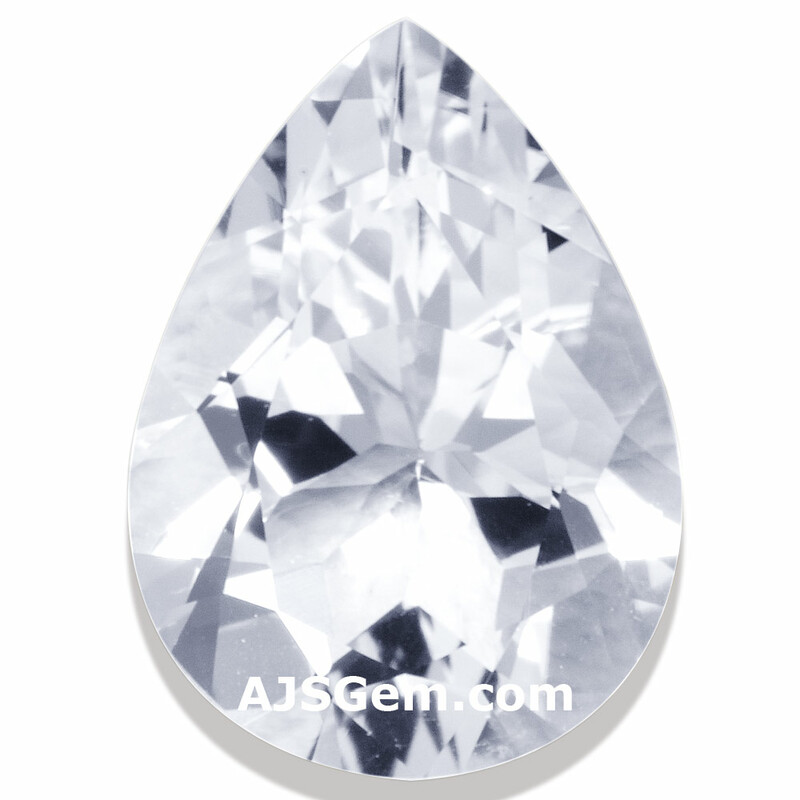 If you are looking for a very large white gemstone, your best choices are white topaz or quartz (rock crystal). These are inexpensive and can sometimes be found in weights over 10 carats. 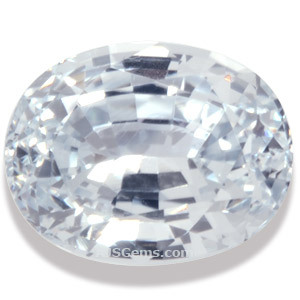 In fact white topaz is so common that much of the material is irradiated to produce blue topaz. There are also some less common white gems that are worth considering. The beryl family, best known for emerald and aquamarine, has a white member known as goshenite. Goshenite has very good hardness (7.5 to 8) and is often found with excellent clarity, but is not as brilliant as sapphire or zircon. Danburite, with a hardness rating of 7 and petalite, with a hardness of 6 to 6.5, are also attractive. 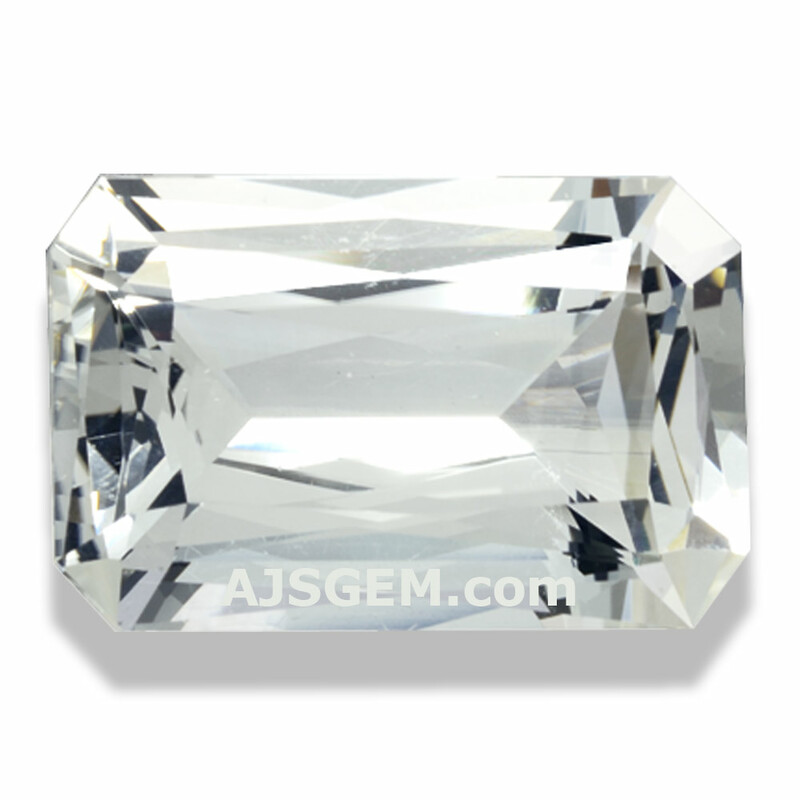 Of the two, danburite has a higher refractive index and thus more brilliance. Excellent danburite specimens in large sizes can be found at prices as low as $20 per carat, making it an a superb value. There is also a colorless garnet known as leuco garnet. But this gem is so rare that it is considered to be primarily for collectors.